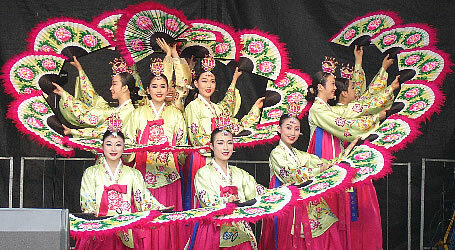 Korean loves all kind of flavour mixing with their own colours. It will strange if I don't share about the Korean's passion towards coffee , as wherever you go you will find coffee shop or an easy to make . 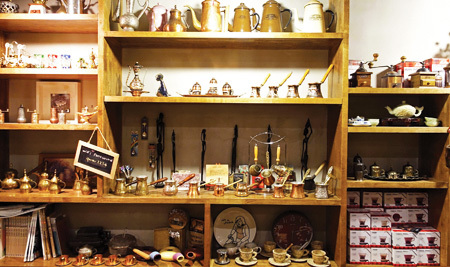 Let's find out the magic of Coffee among the Korean and their fashionable markets. 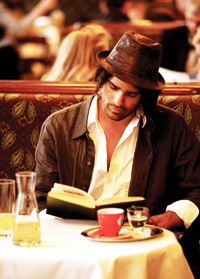 People, especially those engrossed in work, drink coffee as if it's water from early in the morning until late at night. In fact, workaholics are mostly coffee-holics. Koreans started drinking coffee around the era of the Korean Empire (1897-1910). At the time, coffee was a rarity, but the instant coffee mix brought in by the U.S. Army after the Korean War allowed anyone to enjoy drinking coffee. A perfect harmony of sugar and cream, instant coffee dominated Koreans' taste for nearly 40 years. The sweet taste captivated Koreans who lived in challenging conditions. What used to be called "dabang coffee," a mix of coffee, cream and sugar in approximately equal proportions of 1:1:1, became widely popular and available from imported vending machines in 1977. Korea's unique coffee culture, in which coffee is served in a small, 120 ml paper cup, was established around this period. The 1988 Seoul Olympics changed everything in Korea, including coffee. Entering the 1990s, the coffee bean trend bloomed. Coffee "shops" specializing in coffee, replaced "dabang," an old-style salon where various beverages were sold. People started enjoying "American coffee" which was as mild as water. Sales of canned coffee and coffee mix also accelerated. 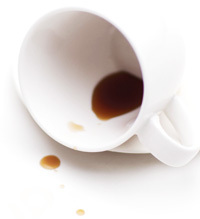 A second wave of change hit the nation a hundred years after the advent of coffee in Korea. The advent of roasteries, coffee shops that roast coffee by themselves, from the 2000s brought the Korean coffee culture to a whole new level. Small stores owned by coffee masters began expanding from Seoul to the countryside, stimulating our tongues. The skills of the masters evolved ever more meticulously and as coffee consumption increased, higher quality coffee beans started being imported. Today, there are over 1,000 roasteries in Seoul alone that roast beans and brew coffee in their own ways. Coffee masters became known nationally through social network, media and blogs and several roasting shops grew into larger companies. 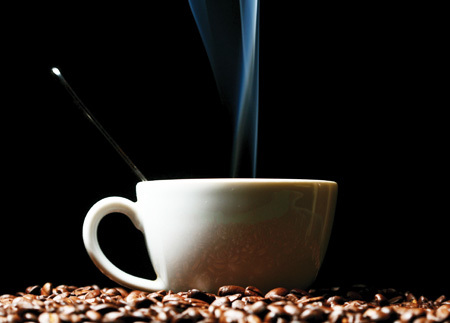 The question is, which shops serve the best coffee? Ten places instantly come to mind, but these are publicly well-known. You easily can find them by searching on your smartphone. Instead, I will introduce four coffee shops that offer very special cups of coffee. 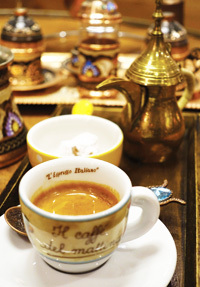 Turkish coffee is basic. The method of boiling finely ground coffee beans in water is an extraction method which had long been used in most coffeeproducing regions. 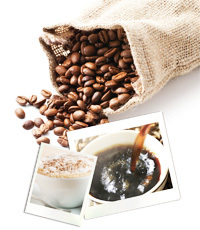 Although the coffee powder resides in the mouth after drinking, the intense flavor and heaviness attracts some drinkers. 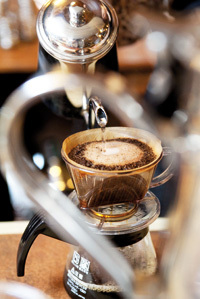 The café, located next to the Turkish Embassy in Yongsan, is run by Master Kim Sook-hee who is knowledgeable on coffee. Having embassy officials as regular customers, the shop offers coffee that is most similar to the local Turkish coffee in Seoul. Café de Fazenda is strong with the basics. 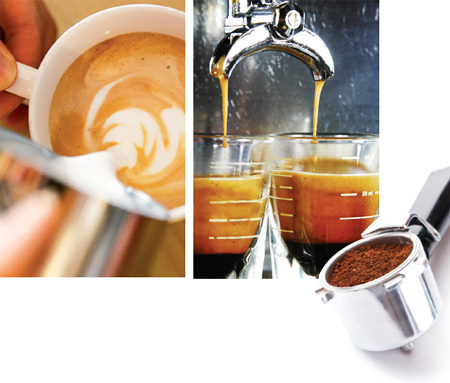 It roasts raw coffee beans of highest quality and offers them in drip, espresso and siphon. If you are sensitive to caffeine but cannot give up your love for coffee, Espresso House is the answer. 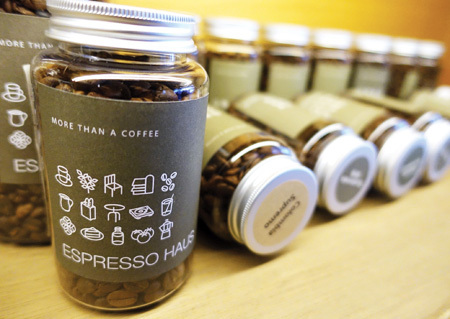 You can enjoy various menus made of espresso extracted from decaffeine beans. It has four different types of decaffeine beans which allow for diverse selection. The shop uses water-processed decaffeine beans which are incomparable to the chemically processed decaffeine beans. Since the barista there has an inclination toward sour taste, all of their coffees have a pleasantly sour flavor. 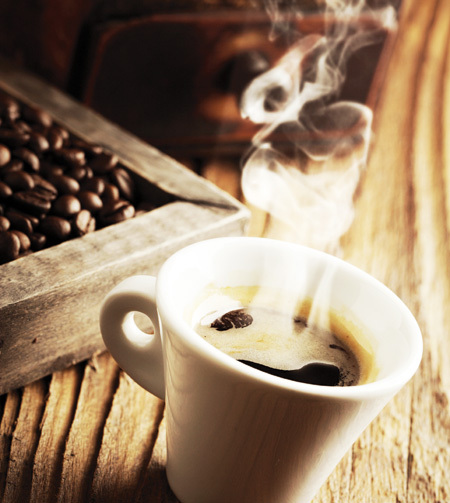 The sour flavor in decaffeine coffees is particularly emphasized due to the processing method. You can compare these with single origin coffees extracted from espresso machines. 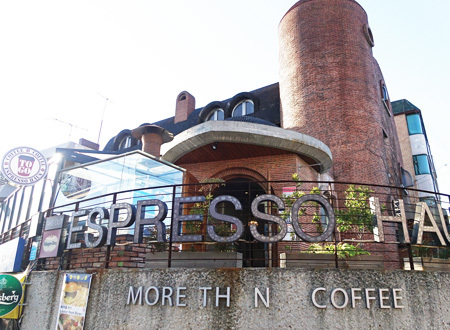 The café is in an elegant brick building located in Yeonhui-dong, exuding a distinct ambiance. It was built in the 1980s by a famous architect. 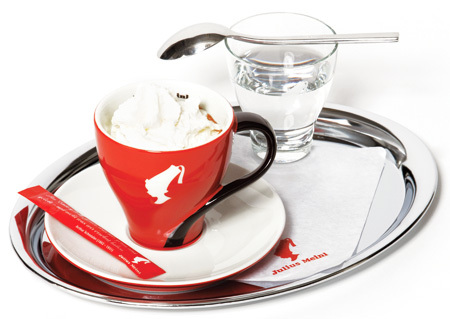 Julius Meinl from Vienna, Austria, is a Viennese coffee brand with 150 years of tradition. 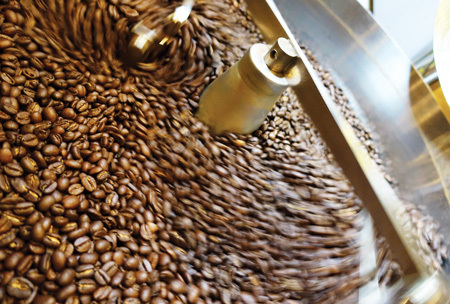 Opened in Vienna in 1862, it is the first company to roast coffee on a mass scale. Its main menu is Vienna coffee. There are three different kinds – Einspanner, Franziskaner and Wiener Melange – served in beautiful red cups. Einspanner is the most representative Vienna coffee with a small amount of water in double espresso topped with whipping cream. Franziskaneris is made of a single shot espresso with steamed milk and whipping cream. Wiener Melange also is made of single espresso, steamed milk and milk foam – it is similar to espresso macchiato. The espresso base is of high quality. The sour taste is mitigated by milk. The shop is located inside Lotte Department Store in Myeongdong. This place is a must if you plan to pull an all-nighter at Hongdae on a Friday night. 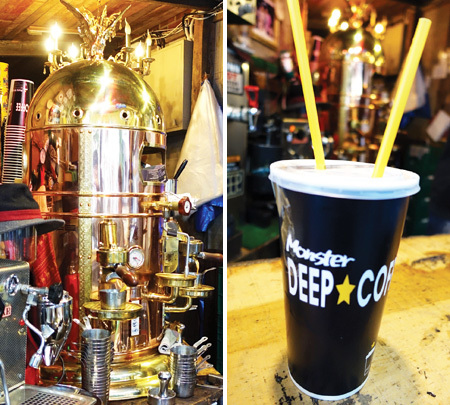 Monster-sized Ice Americano, its main menu, will quench clubbers' thirst. The size – 1L (compare it with Starbucks' 591ml Venti size) – doesn't compromise quality. It uses top-notch beans and machines, such as the Bell Epoque, a coffee machine which costs over 30 million won (only three are in Korea). Four shots of espresso go into the cup. They serve until 4 a.m.